Miami Florida is located at the southern tip of the U.S. Therefore, this area enjoys a tropical weather. The best period to visit Miami depends on ones finances. The peak tourist season is from mid November to mid April. The Miami weather is usually gorgeous, warm but not too hot. During this season, visitors from the U.S. and from the rest of the world are coming in masse to Miami. 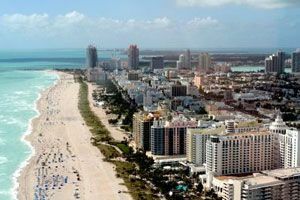 The peak season means of course higher rates for Miami hotel rooms and Miami vacation rentals properties. It is common to see substantial price variations (up to 50% discount) from high to low season. Miami became such a hot tourist destination that the seasonality starts to be less marked than a few years ago. Conventions, exhibitions, concerts are being held throughout most of the year. 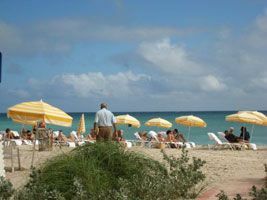 The low-season in Miami happens during the following months, May, June, September, October, and first part of November. A deal-maker will get the best opportunities during the low season period. The mid-season in Miami happens in July, August, and second part of November. 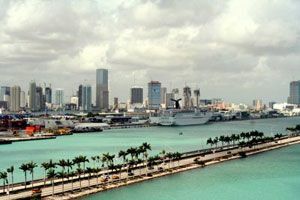 A large number of European tourists and Latin Americans come to visit Miami during those months. Some special events come to interfere with this calendar such as the Memorial Day Weekend in Miami and Columbus Day in October, those periods are considered as peak season and hotels in Miami get packed really fast. From May to end of October Miami enters the hurricane season, the climate becomes much hotter and humid. Usually, it usually rains (quick showers) in the early mornings and at the end of the day.